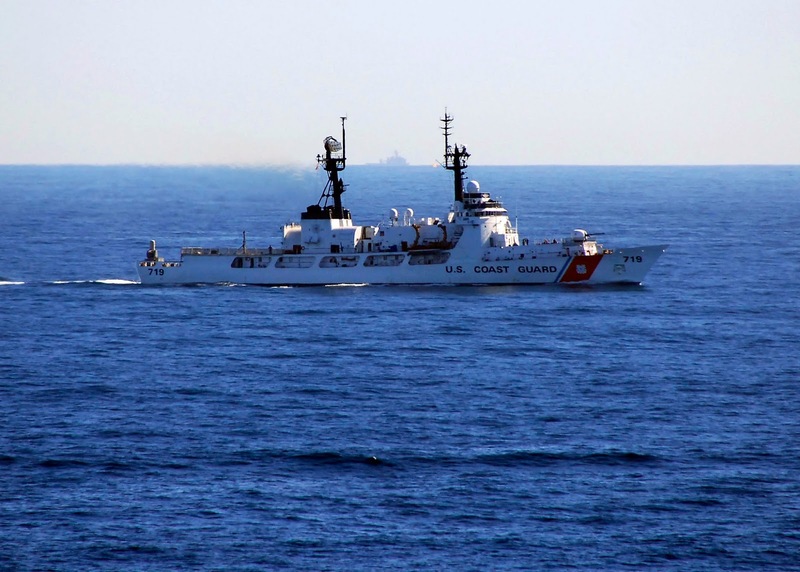 SAN DIEGO – The Coast Guard Cutter Boutwell is scheduled to be decommissioned during a ceremony held at Naval Base San Diego, Wednesday, at 3 p.m. The ceremony will honor 48 years of Boutwell’s service to the Coast Guard. Vice Adm. Charles W. Ray, Commander of the Coast Guard’s Pacific Area and Defense Force West, will preside over the event. Coast Guard Pacific Area is the Coast Guard’s regional command element and force provider for maritime safety, security, and stewardship in the Pacific. This area of responsibility encompasses six continents, 71 countries, and 74 million square miles of ocean from the U.S. to Asia, and the Arctic to Antarctica. 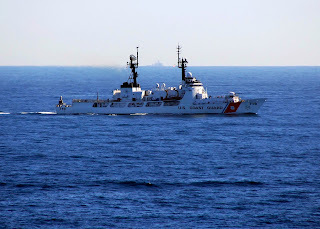 Throughout its distinguished Coast Guard career, the Boutwell has undoubtedly earned its reputation as “The Best in the West.” Over the past two years, Boutwell’s crew has deployed in support of Operation Martillo, a multinational law enforcement effort to prevent illicit drug trafficking off the coast of Central America. During this period the crews conducted 22 go-fast vessel pursuits, resulting in 10 interdictions, six disruptions, the apprehension of 33 suspected narcotics smugglers, and the seizure of nearly 8,000 pounds of cocaine valued at $115 million. “Boutwell has served our nation well, which is a tribute to all who have served,” said Capt. Edward Westfall, the ship’s commanding officer. “This culminating event will unite a long blue line of Boutwell sailors to celebrate nearly 48 years of accomplishments and memories. Within the last eight months, Boutwell’s crew participated in two Bering Sea Patrols, providing search and rescue presence as well as enforcing federal living marine resource and commercial fishing vessel safety regulations. Over the course of these patrols, they conducted 29 fisheries boardings as well as two helicopter medical evacuations. Additionally, the cutter operated in the Arctic Ocean in support of Operation Arctic Shield, providing safety zone enforcement for oil rigs drilling in the Arctic Ocean. In 2015, Boutwell’s final year of operation, the cutter spent 219 days away from homeport, traveling more than 40,000 nautical miles spanning 65 degrees of latitude, called on 12 ports, and performed six of the Coast Guard’s statutory missions. Boutwell is the seventh High Endurance Cutter to be decommissioned, with five remaining in service across the Pacific. The Coast Guard is working with the State Department to transfer Boutwell to the Philippine Navy as part of a Foreign Military Sale Program through the Foreign Assistance Act. The U. S. Coast Guard high endurance cutter Boutwell (WHEC-719) on exercise in the Pacific. Boutwell was decommissioned on Wednesday, March 9, 2016 and will be sold to the Philippines as Excess Defense Article (EDA) after U.S. President Barack Obama announced that a High Endurance Cutter and the R/V Melville will be made available to the Philippines during the APEC 2015 summit in Manila. The Boutwell will be the third Hamilton-class cutter to be transferred to the Philippine Navy.